Back in July I first spoke of Under the Flesh which is a zombie comic that had a Kickstarter going to get issue 1 printed and the artwork done for issue 2. Now there is a new Kickstarter going to get issue 2 printed and the artwork completed for issue 3. 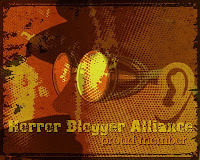 Under the Flesh features Ruben Lobos who is a solider who has been fitted with nano machine technology. The world is undergoing zombie Armageddon but the virus only affects the male population. Due to the experiments on him Ruben is immune to the bites and scratches of these zombies. I have had an early look at issue 2 and it is an exciting issue with Ruben fighting his way through zombie filled streets in search of a missing person dear to him. It seems that he is not the only person to have special abilities as this issues features the appearance of perhaps a shadowy antagonist figure. Currently there are 8 days left on the Kickstarter with $1,956 of the $4,000 goal raised. Under the Flesh is initially set to have a 6 issue story arc and it would be a shame if they fail their campaign as this is not a bad comic. Basing the whole run of a comic on crowd funding does seem slightly risky. I have to say I enjoyed issue 2 a lot more than the first one. It is unapologetic in it's love of 80's style action comics and has some neat ideas contained in it. 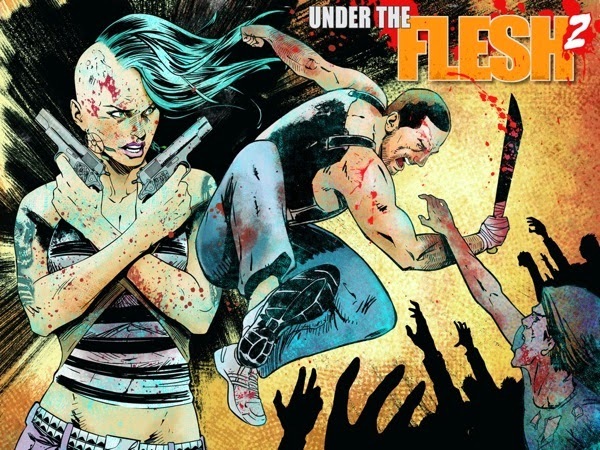 If you feel like donating some money or just want to read more about this then head over to the Kickstarter page for Under the Flesh and check it out. You can also download issue 1 of Under the Flesh for free.